Impaction colic generally means severe constipation. Yes horses get constipated and it could be deadly. Would you know what the signs or symptoms are? There are things you can do to help prevent this. Make sure your horse is getting plenty of water. I don’t like automatic waterers because you can’t tell how much a horse is drinking. During the winter they won’t drink as much if the water is cold so it would be best to give them tepid or lukewarm water. Heated water buckets are great. Exercise is important for digestion as horses were meant to move several miles a day. De-worming on a regular basis. If you notice mucous in the manure that is a sign of intestinal irritation. Horses with constipation will need a laxative, but never give them human laxatives. If you are unsure or your horse shows any of the following signs above contact your veterinarian immediately. Thanks Nanette I appreciate you stopping by to leave a comment. 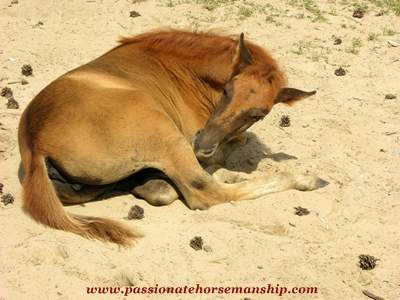 Your so right that insufficient water is the biggest reason horses colic in the winter. Colic can be so frightening, yet is often preventable. My vet cites the number of colic cases she sees in the winter are far greater than any other time of the year – and most are due to insufficient water access. You offer some great ideas to make it easier for horses to drink.